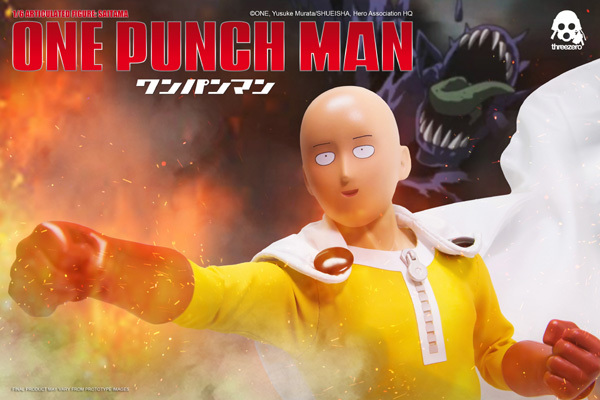 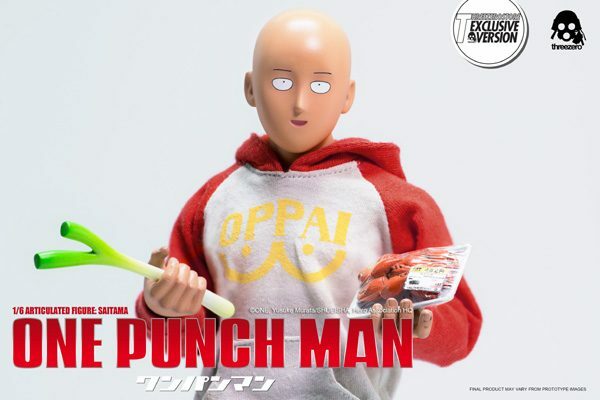 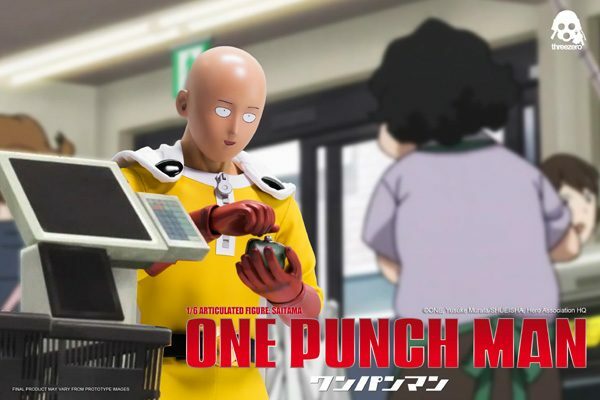 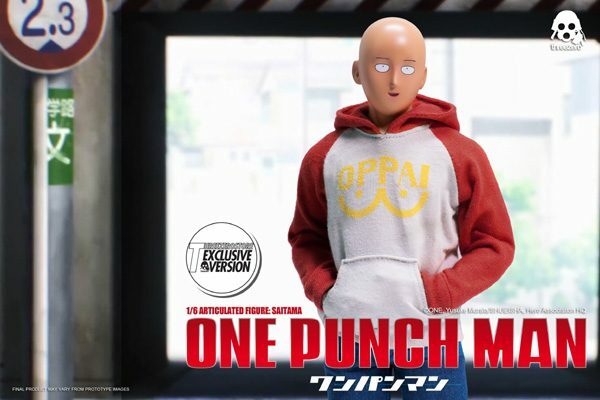 ONE–PUNCH MAN 1/6 Articulated Figure: SAITAMA is available for pre-order for a limited time at www.threezerostore.com starting from November 15th 9:00AM Hong Kong time. 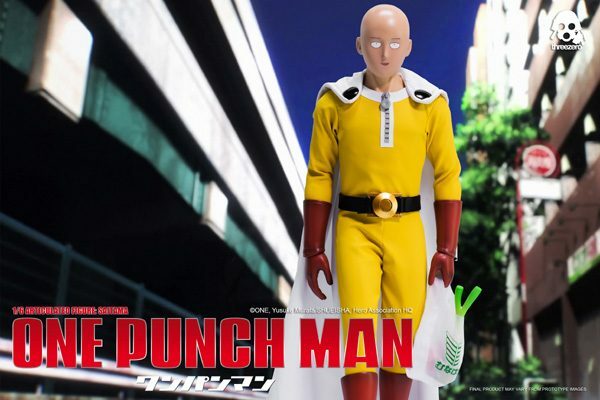 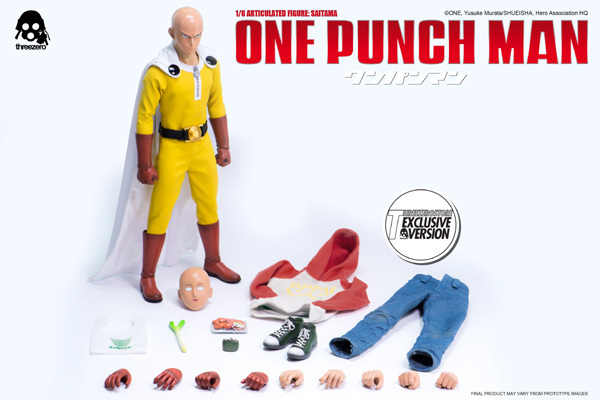 SAITAMA price at www.threezerohk.com is 160USD / 1245HKD with worldwide shipping included in the price. 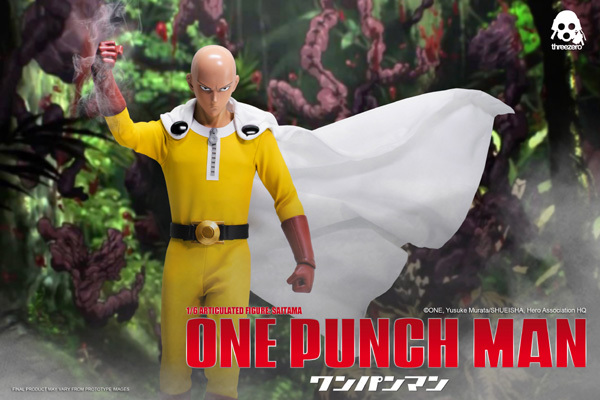 We also have Threezero Store Exclusive version available for pre-order at our store for 180USD / 1400HKD with worldwide shipping included in the price. 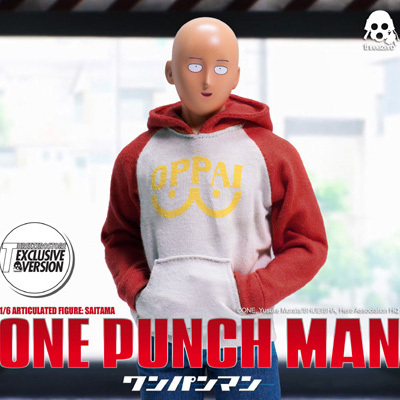 It additionally comes with “OPPAI” logo Hoodie; Cotton Pants; Sneakers and Exchangeable Bare hands: One Pair Relaxed, One Pair Firsts and One Right Gripping Hand. 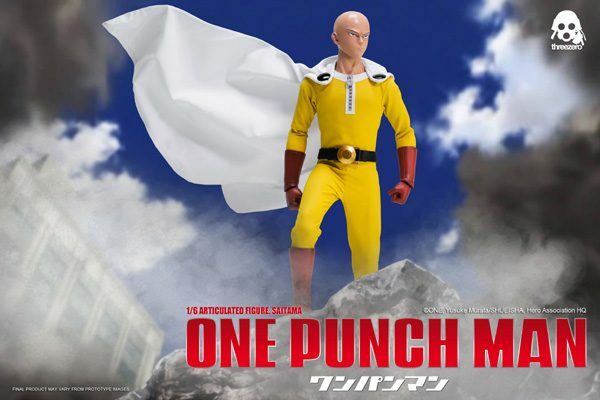 This collectible figure stands approximately 12” (30cm) tall, comes with Two Interchangeable Heads with different facial expressions; Tailored Hero Suit Costume with Cape, Exchangeable Hands and different accessories (please check detailed description below).